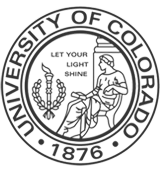 Dr. Carlos K. Wesley delivered the grand rounds lecture to the Department of Dermatology at the University of Colorado. This two-and-one-half hour seminar delivered to the resident and fellow physicians covered all aspects of the procedure – from the origins of hair transplantation to the new innovations in the field of hair restoration surgery. In addition to the most-commonly-used methods of hair restoration surgery (FUT and FUE), Dr. Wesley covered the benefits and limitations of platelet-rich plasma (PRP) therapy for patients. He also discussed the various ways in which hair transplantation can serve as a helpful adjunct to Mohs Surgery for skin cancer.